The Pro Z from Prior Scientific is a motorised microscope stand offering an extensive travel range of 254mm and extremely fine resolution control (0.25 microns). Designed for use with Nikon (LV, AZ100, and SMZ) and Olympus (BX2/BX3 and MVX10) microscopes, high quality encoders on the Pro Z ensure the very best in accuracy and reliability. Benefiting from a 508 x 508 mm base the Pro Z provides a stable platform to view large samples which are normally difficult to mount under conventional microscope systems. For the largest samples, Pro Z stands with larger bases are also available on request. XY stages from Prior Scientific can be simply mounted onto the Pro Z base, allowing you to achieve exceptional accuracy in positioning samples in the X, Y, and Z axes. 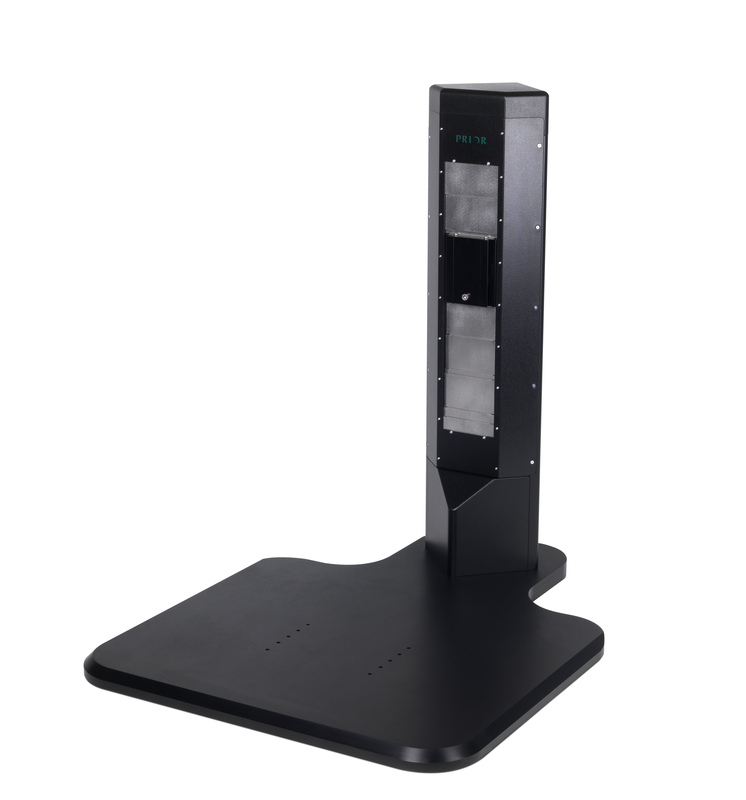 The Pro Z stand may be controlled by Prior’s ES10ZE, OptiScan or ProScan control systems, allowing it to be easily integrated into a complete imaging system. Numerous lighting options, including basic reflected light, Köhler illumination and transmitted light, are possible when using the ProZ stand. Alternatively transmitted light bases from a compatible microscope can be mounted directly onto the ProZ base.